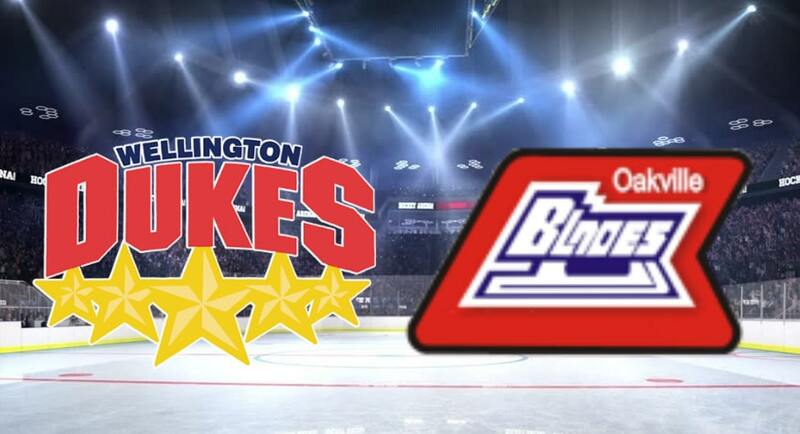 The Ontario Junior Hockey League’s Buckland Cup game three final series hit the ice on Tuesday, April 16th with the best of seven series 2 – 0 for the Oakville Blades against the Wellington Dukes. 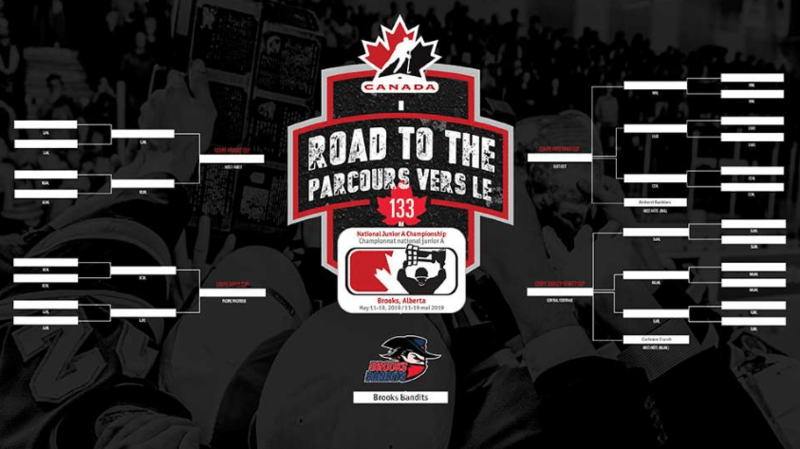 With a win on April 16th, the Blades will be one game away from advancing to the central region 2019 Dudley Hewitt Cup Championships in Cochrane, Ontario from April 30th through May 4th, 2019, at the Tim Horton Event Centre. 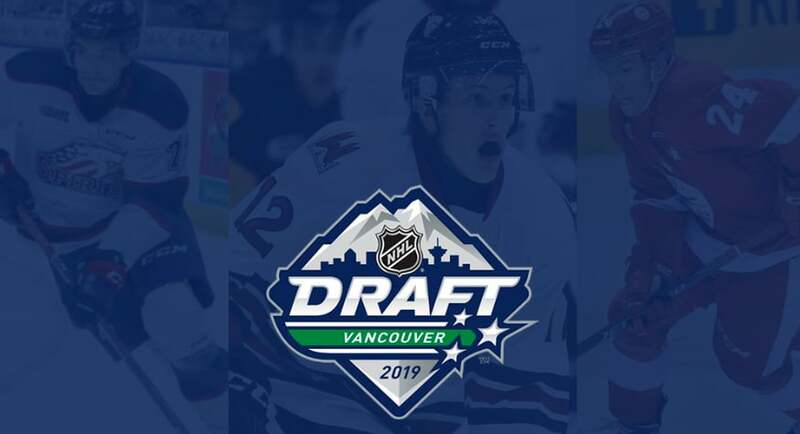 On April 15th, the Ontario Hockey League announced that 48 of their players were listed on the NHL Central Scouting final rankings for the 2019 NHL Draft in Vancouver, British Columbia the will take place on June 21st and 22nd. Along those listed were Sault Ste Marie natives Keegan Stevenson of the Guelph Storm, Nicholas Porco of the Saginaw Spirit and Cole MacKay of the Soo Greyhounds. Along with the three Sault Ste Marie natives, Soo Greyhounds Jacob Leguerrier and Joseph Carroll were also among the other 43 OHL players of 217 NHL Central Scouting in North America that included 26 goaltenders, 29 forwards and 12 defensemen. “I am super excited to play in the playoffs and playing with all the guys. 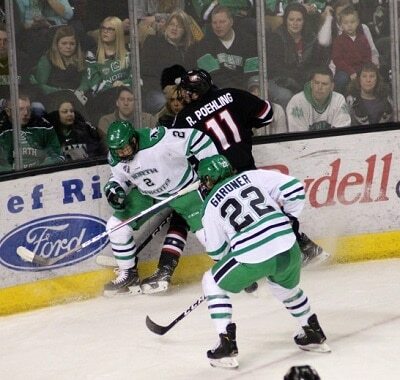 It would mean a lot if I heard my name get called, I have been dreaming about being drafted to the NHL since I was a little kid and it would be a dream come true,” said Stevenson. On Thursday, April 11th, the Sault College Cougars celebrated another year in the sport at the 52nd Annual Athletic Awards night held at Grand Gardens North. A crowd of 175 student-athletes, coaches, staff and distinguished guests gathered to celebrate another banner season for the Cougars. The event recognized Sault College student-athlete achievements both in and out of the classroom. The 2018-19 season saw the Cougars field nine teams in the sports of Golf, Cross Country, Curling, (M/W) Basketball, (M/W) Hockey and (M/W) Indoor Soccer. This included 150 student-athletes and 33 coaches who donned the Cougar colours in competitions across Canada and the United States. Amongst the hardware given out were the most valuable players in each sport. The festivities concluded with the naming of our Athletes of the Year presented by Matt Trainor, Director of Student Services. The Female Athlete of the Year was a graduating women’s basketball player Mercedes Ryan (Sault Ste. Marie/CYW) who took home the prestigious award capping a brilliant career at the college. Mercedes, the captain of the basketball team, was named as the OCAA Athlete of the Week in February. Over her time at the college, she has been a leading scorer and dominates force for the Cougars. 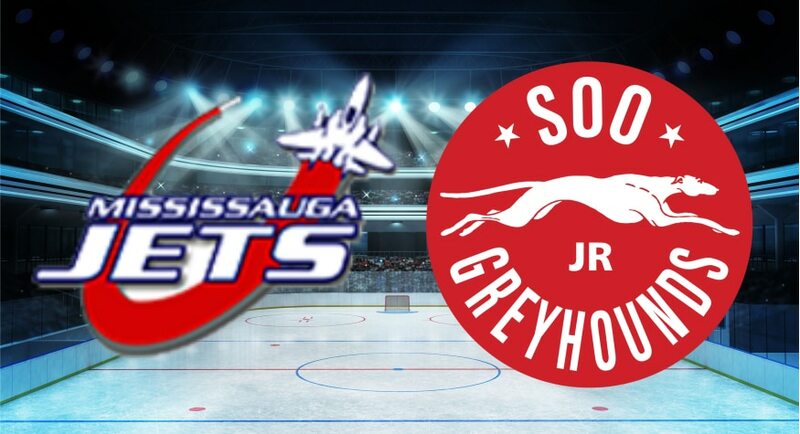 In Streetsville, Ontario in Peewee AA 2019 Ontario Hockey Federation Championships on April 12th, the Soo Jr Greyhounds hit the ice on Friday morning to meet the Mississauga Jets in their first game of round robin action of the 2019 Peewee AA Championships. The Greyhounds next opponent will be the Richmond Hill Stars on Friday afternoon in a 4:00 p.m matchup. 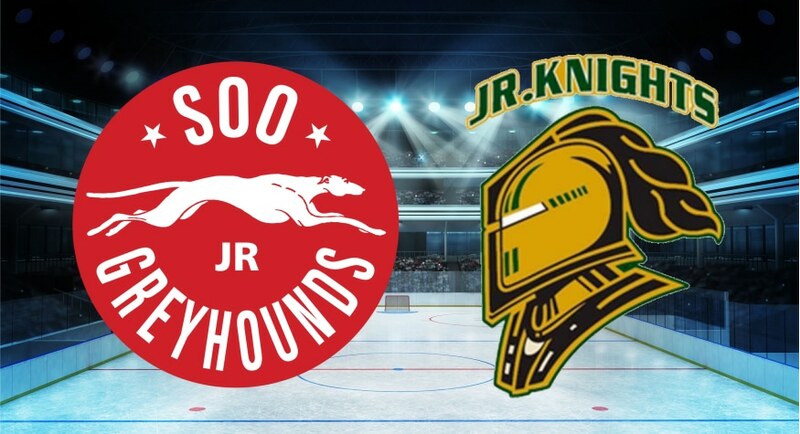 At the Atlas Centre in Belle River, Ontario on Friday, April 12th at the 2019 Atom AA Ontario Federation Hockey Championships, the Soo Atom AA Jr Greyhounds opened their championships against the London Jr Knights Friday morning in round robin action. Next action for the Atom AA Greyhounds will be at the hosts, the Belle River Jr Canadiens in a 7:00 p.m puck drop on April 12th. The 2019 Ontario Hockey League U18 Priority Selection draft took place on April 10th with 54 players born in 2001 and 2002 from AAA midget hockey programs across Ontario. 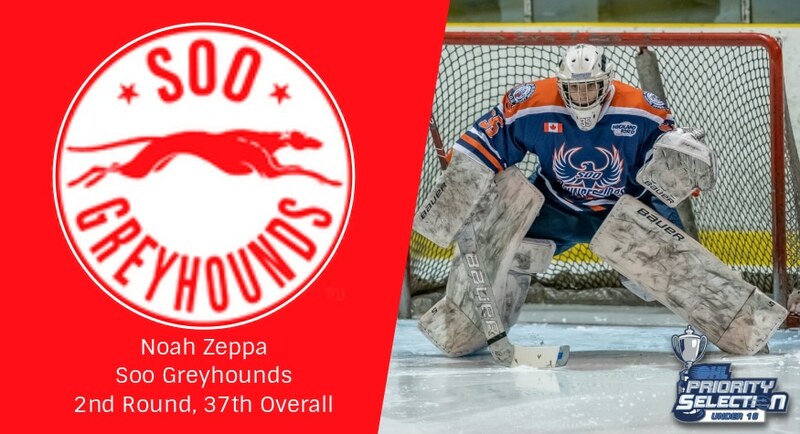 Sault Ste Marie’s Noah Zeppa was chosen 37th overall in the second round by his hometown Soo Greyhounds. 17-year-old goaltender played the 2018 – 2019 season in the Great North Midget League with the Soo Major Midget Thunderbirds program under the guidance of head coach Alex Cruise. The 5’9” and 150 lbs netminder played in 23 regular season games with the Thunderbirds where the Sault Ste Marie native finished with 3.72 goals against average and a 0.834 save percentage in 1223 minutes between the pipes. Zeppa had two regular-season shutouts for the Thunderbirds in 2018 – 2019. In five postseason games in 2019, the 17-year-old goaltender finished the playoffs with a total of 269 minutes played and 4.11 goals against average for the Sault Ste Marie native. During 2018 – 2019 Ontario Hockey League season, the 17-year-old goaltender had a chance to dress as an emergency callup goaltender for the Soo Greyhounds and the visiting Hamilton Bulldogs. “It is a complete honour growing up watching the hounds and is my main goal to be drafted into the Ohl by the soo greyhounds. I would like to thank the Greyhounds organization, my coaches, teammates and especially my parents. Giving this opportunity is going to make me work harder in the offseason and I believe I can bring my compete level and athleticism,” said Zeppa.